Every seasoned player knows that choosing the right game to play can influence the outcome of your entire gambling session. If you make the right choice, you won’t be plagued with doubt every time you place real money bets. And you will be able to soak in the delight you can get out of online gambling. When you plan on visiting an online gambling venue, make sure that you know what kind of games you might enjoy playing. To make the decision process easier, you should pick one of two categories: simple casino games or challenging ones. The uncomplicated casino games usually include games like slots or bingo, which require minimal effort on your part. However, if you aren’t interested in simple games that won’t challenge you, you might enjoy playing table games. The most popular of these would be blackjack or online roulette. Those games require that you put some effort into the experience. This may may be exactly what can provide you with a sufficient challenge you’ll enjoy. Slot games are rather straightforward without requiring knowledge of rules before you play. Playing table games such as roulette require a basic understanding of the rules before you can place your bets. Although you probably know what roulette tables look like, it is best to learn all the details before you approach the game with an expert’s eye. Roulette games include two basic components: the wheel and the board. Both of them feature a series of 37 or 38 numbers. Depending on the game’s version, the numbers will range from 1 to 36, a zero and sometimes even the double zero. All numbers except for the zeros alternate from black to red. They also appear in no apparent sequence on the wheel. The wheel is where all the action happens, but you can do little to control it. The basic understanding of how the wheel works may help you understand how the game works. Although you have no control over where the ball lands in the wheel. However, you CAN control the outcome of your gambling session by figuring out how the board works. This is where you place your bet, so pay attention to this part of the game. The same numbers that appear on the wheel also appear on the board. Here they are organized into neat groups. You can always bet on a single number, but as you can imagine, it is a risky move. Yet, as the risk rises, so do the rewards – a win here can be very lucrative. If you want to bet on a bunch of numbers and increase your chances of winning a cash prize, you can bet groups of numbers. It could be an entire row or column of numbers. You can bet on groups of 12 numbers. All the corner numbers. All red. All black. You get the idea. As you choose more numbers to bet on, the payout rate takes a plunge, but your chances to win are much higher. So at the end of the day it all comes down to what kind of gambler you are. Are you prepared to take a risk or will you choose the safer options? Since there are a lot of different casino games you can always choose from, it is sometimes hard to choose the right game. 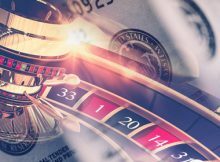 So why should you choose the roulette games instead of other casino games? First of all, as you can see by the detailed description above, the game might require some knowledge on your part, but at the end of the day, it is rather uncomplicated. Also, this game has various versions that might intrigue you, so if you love roulette games, you can always change things up and keep things interesting if you get bored with one version. Check out American Roulette, French Roulette, and European Roulette – each with very slightly different rules, and odds – to decide which you prefer. Or mix it up and play them all according to your whim. 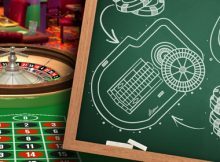 All in All… Online Roulette is one of the most popular casino games out there, so if you are looking to have an exciting adventure while gambling, this might be the thing that can elevate your experience to a whole new level.